Here are some truths about the 1962 China’s War which are not often mentioned in history books or Reports from the Government. Of course, this list is not exhaustive. In the Army HQ in Delhi as well as locally in the NEFA, nobody was really sure where exactly the border (the famous McMahon Line) was. It is the reason why the famous Henderson-Brooks report has been kept out of the eyes of the Indian public for fifty years. Till the fateful day of October 20, 1962, the Army bosses in Delhi were unable to tell the local commanders where the border in Tawang sector precisely was? …when Lt. Gen. Kaul was evacuated from the Namkha chu on October 8, having fallen sick due to the altitude, he was carried pick-a-back by ‘local’ porters. It was later discovered that one of them was a Chinese interpreter in a PoW camp in Tibet. The secrets were out! The Army had no map. There is the story of Capt. H.S. Talwar of the elite 17 Parachute Field Regiment who was asked to reinforce Tsangle, an advance post, north of the Namkha chu on October 16. Without map, he and his men roamed around for 2 days in the snow; they finally landed a few kilometers east at a 2 Rajputs camp (and were eventually taken PoWs to Tibet with Brig. John Dalvi on October 21). Take the example of the 2 Rajputs under the command of Lt. Col. Maha Singh Rikh who moved to the banks of the Namka chu river by October 10 as a part of 7 Infantry Brigade. The brigade was stretched out along nearly 20 kilometers front beside the river. It was a five-day march to walk from an end to the other (the confluence with the Namjiang chu). Not a single man from the Rajputs was awarded any gallantry medal, because there was no one left to write the citations; all the officers or JCOs who were not killed or seriously wounded were taken POWs. Out of 513 all ranks on the banks of the river, the 2 Rajput lost 282 men, 81 were wounded and captured, while 90 others were taken prisoners. Only 60 other ranks, mostly from the administrative elements got back. The Indian troops fought pitches battles in the Walong sector of the NEFA and Chushul in Ladakh where the Chinese were inflicted heavy losses. How Much Longer Will Ghani Trust Pakistan? Khyber Sarban is a policy commentator in Afghanistan and has been an adviser in Afghanistan's Independent Directorate of Local Governance. The Afghan president has invested immense political capital in his outreach to Pakistan. But, he has only setbacks to show for it. How long before Ashraf Ghani loses patience with Pakistan? When the new Afghan president, Mohammad Ashraf Ghani, courageously attempted a rapprochement with Pakistan almost a year ago, there was a sense of cautious optimism in the region. In an effort to bring an end to Pakistan’s decades long ‘undeclared war’ on Afghanistan, he spoke of joint efforts to combat terrorism and enhanced bilateral cooperation for regional stability, economic prosperity and trade. KABUL, Afghanistan — Alarmed that large stretches of Helmand Province are falling to the Taliban, American Special Operations forces have secretly taken a more central role in the fighting to save crucial areas of the province, as more air power and ground troops have been committed to the battle, according to Western and Afghan officials. A Western diplomat said last week that United States Special Operations forces had been engaged in combat in Helmand for weeks, and that there were more American forces fighting there than at any time since President Obama last year announced a formal end to combat operations in Afghanistan. The extent of the American role has been kept largely secret, with senior Afghan officials in the area saying they are under orders not to divulge the level of cooperation, especially by Special Operations forces on the ground. The secrecy reflects the Pentagon’s concern that the involvement may suggest that the American combat role, which was supposed to have ended in December 2014, is still far beyond the official “train, advise and assist” mission. It is an honor to appear before the subcommittee today to address the interesting and important issues surrounding potential nuclear cooperation with Pakistan. Having worked on nuclear challenges in South Asia since 1992, I am keenly aware of the complexities of any U.S. policy in this domain. The subcommittee should be applauded for its determination to explore these issues. At the outset I should say that I think it highly unlikely that the governments of the United States and Pakistan would be able to agree on conditions that would motivate both states to complete a nuclear cooperation agreement. Thus, this discussion is largely hypothetical in my view. Nonetheless, the national, regional, and global interests that would be involved in pursuing such a deal are important enough to make even a hypothetical discussion worthwhile. December 13, 2015: The military situation in the north may, or may not change in 2016. That won’t be known until the new government takes control in March. Unless, of course, the army stages another coup, like it did in 1990 when a newly elected government threatened the power and privileges of the generals. The new government intends to do just that. In the north, mainly in Shan state, the army has continued to defeat the rebels mainly by outmaneuvering and threatened to surround them. Over 10,000 civilians (most of them SSA-N supporters) have been forced to flee their homes in the past few weeks. The military is using airstrikes and artillery against villages, to either kill rebels there or force the civilians to flee. In mid-October the government signed another peace treaty with eight tribal rebel groups. Not signing were several other groups, especially the TNLA (Tang National Liberation Army), KIA (Kachin Independence Army), Kokang, SSA-N (Shan State Army-North) and Arakan Army which are currently fighting the army. Most of these defiant rebel groups are still fighting because the army has continually violated the 2012 ceasefire. The army continues the decades old offensive against the tribal rebels mainly because it is profitable to do so. Taiwan was once the principal target of China’s hybrid warfare activities. Not any more, says Michael Raska. Members of the European Union have also become the focus of Beijing’s strategic influence operations, especially those countries that are part of China’s 16+1 regional cooperation formula. This commentary was originally published by the S. Rajaratnam School of International Studies (RSIS) on 2 December 2015. While China’s foreign policy has traditionally relied on economic leverage and “soft power” diplomacy as its primary means of power projection, Beijing has been also actively exploiting concepts associated with strategic information operations as a means to direct influence on the process and outcome in areas of strategic competition. In 2003, the Central Military Commission (CMC) approved the guiding conceptual umbrella for information operations for the People’s Liberation Army (PLA) - the “Three Warfares” (san zhong zhanfa). The concept is based on three mutually-reinforcing strategies: (1) the coordinated use of strategic psychological operations, (2) overt and covert media manipulation, and (3) legal warfare designed to manipulate strategies, defense policies, and perceptions of target audiences abroad. With the nuclear accord between Tehran and world powers in force, a chief question is what it means for Iran. The clash between competing visions of the country’s future has heightened since the deal. Many, there and abroad, believe it could rebalance domestic politics. It not only has boosted the profile of those who promoted it, but, more fundamentally, it has opened space for new debates in a domestic sphere that was dominated by the nuclear issue for more than a decade. Yet, the political system, with its multiple power centres and tutelary bodies, inherently favours continuity. As its guardians try to quell the deal’s reverberations and preserve the balance of power, any attempt by Western countries to play politics within the Iranian system – for instance by trying to push it in a “moderate” direction – could well backfire. If world powers hope to progress on areas of concern and common interest, they must engage Iran as it is, not the Iran they wish to see. To start, all sides should fulfil their commitments under the nuclear deal. ISIS really is different. Its ultimate and obsessed-over goal, to bring on the apocalypse, makes the group impossible to reason with. It can inspire far-off individuals, people who have never been to the Middle East or met an ISIS member, to turn themselves into suicidal killers — which makes containing ISIS to Syria and Iraq impossible. Yet for all the ways ISIS is different, it is, all told, not so unlike the many ideologically driven insurgencies and warlord-style mini-states that have come before it. Its fighters are not invincible, 10-foot-tall warriors; they've already lost 20 percent of their territory in just the past year. And the organization has basic, earthly needs: funding, territory, and a base of popular support. Those things can be taken away. The world has defeated such groups many times before, and it can defeat this one. For all the angry rhetoric in the presidential race, there is a surprising degree of consensus on what it would take for the United States to lead the global effort to defeat ISIS. The steps to victory are difficult and numerous, but they're neither impossible nor even really unknown. December 15, 2015: The U.S. Army Special Forces has assigned some troops to come up with ways to counter the way ISIL (al Qaeda in Iraq and Syria) uses the Internet and mass media to successfully recruit. Unlike most Islamic terrorism experts the Special Forces troops have lots of experience with Islamic terrorists and the Moslem populations they operate in and recruit from. The Special Forces troops who specialize in the Middle East also know that the main reason ISIL gains so many recruits is because many Moslems support Islamic terrorism and that is nothing new. Moslems in general say they oppose Islamic terrorism and that Islam is the “religion of peace.” But given the fact that 95 percent of terrorism deaths are attributable to Islamic terrorists and that has been the case for over two decades what is one to make of the situation? Multiple surveys of Moslem populations worldwide show that about 12 percent of the 1.5 billion Moslems on the planet support Islamic terrorism. That’s nearly 200 million people. That explains why after every major Islamic terrorists attack in the West there are open and unmolested (by the police or anyone else) celebrations in most Moslem nations and even in some where Moslems are a minority. This was noted in the wake of the September 11, 2001 attacks, but most governments of these Moslem nations made loud and unequivocal condemnations of these Islamic terror attacks, at least to non-Moslem countries. But internally Westerners who were present in Moslem countries at the time (as some U.S. military personnel were) often saw these celebrations and those who spoke the local language had no illusions about what was being celebrated. There are no such celebrations (most of the time) when the Islamic terrorists are killing Moslems somewhere. In fact most of the victims of Islamic terrorism are Moslems. Thus Moslems can say, with some degree of truth that all Moslems condemn Islamic terrorist violence, without adding that this regret only applies when the victims are fellow Moslems. Military strategist, classical scholar, cattle rancher – and an adviser to presidents, prime ministers, and the Dalai Lama. Just who is Edward Luttwak? And why do very powerful people pay vast sums for his advice? People contact Edward Luttwak with unusual requests. The prime minister of Kazakhstan wants to find a way to remove ethnic Russians from a city on his northern border; a major Asian government wants a plan to train its new intelligence services; an Italian chemical company wants help settling an asbestos lawsuit with a local commune; a citizens’ group in Tonga wants to scare away Japanese dolphin poachers from its shores; the London Review of Books wants a piece on the Armenian genocide; a woman is having a custody battle over her children in Washington DC – can Luttwak “reason” with her husband? And that is just in the last 12 months. On December 12, 2015 in Paris, the United Nations Framework Convention on Climate Change finally came to a landmark agreement. Signed by 196 nations, the Paris Agreement is the first comprehensive global treaty to combat climate change, and will follow on from the Kyoto Protocol when it ends in 2020. It will enter into force once it is ratified by at least 55 countries, covering at least 55% of global greenhouse gas emissions. This article was originally published by the Atlantic Council on 3 December, 2015. At the 2015 Atlantic Council Energy and Economic Summit in Istanbul, twenty-one Ministers and senior officials from Europe, Asia, North America, and the Middle East met to assess the changing geopolitics of energy security. The assembly was a reminder that energy security — the ability of a nation to secure affordable, reliable, and sustainable supplies to maintain national power — is very different for each nation. It was clear that advances in technology — in oil and gas, and renewables — have changed the geopolitics of energy dramatically, and mostly for the better, from the world of 2008 or even 2011. We have moved from an era of resource scarcity to abundance, from a concentration of resources to ubiquity of access, and from monopoly power in oil and gas to gas on gas competition in Europe. There is now a clear de-linkage of oil and gas pricing, more hub pricing and a growing spot market in LNG. Floating LNG and containerized shipping are enabling lower cost and quicker access of nations to gas, helping them move away from coal. US shale, with huge resources, low extraction costs, and rapid drilling times may help put a ceiling on the price of oil. Changes in wind, solar, and energy efficiency technology have driven down the cost of renewables in many countries, making them cost competitive with coal or gas in many cases. December 11, 2015: Many in the West believe that the current outbreak of Islamic terrorism began when the United States reacted too violently to the September 11, 2001 attacks. Islamic terrorist violence is nearly nine times greater now than it was in 2000 and many in the West believe that this is largely because the West is fighting back. The other view is that Islam was, alone among the major religions, founded as a militant faith and has continued to preach constant struggle against non-Moslems no matter what. Many Westerners are put off by these facts and prefer to believe that no religion could be that violent and self-destructive. Yet the historical record shows Islam to be consistently violent, aggressive and extremely hostile towards non-Moslems. What triggered the current plague of Islamic violence was more than a trillion dollars of oil income flowing into the Middle East since the 1960s plus an unexpected (and misinterpreted) Islamic victory over Russia in Afghanistan during the 1980s. That victory was largely funded by billions of dollars in Arab (mainly Saudi Arabian) oil money. That cash did not just buy weapons but also supplied thousands of conservative Islamic clergy preaching the need for holy war in Pakistan and establishing mosques and religious schools dedicated to keeping this struggle going after Russia left Afghanistan in 1989. Remember that the Russians were not defeated in Afghanistan, they just saw no future in continuing to kill Moslems there when their communist empire was falling apart because of bankruptcy and corruption. Two years after the last Russians left Afghanistan the Soviet Union dissolved and was no more. The holy war that began in Afghanistan continued, with the new targets being the United States and the West in general. 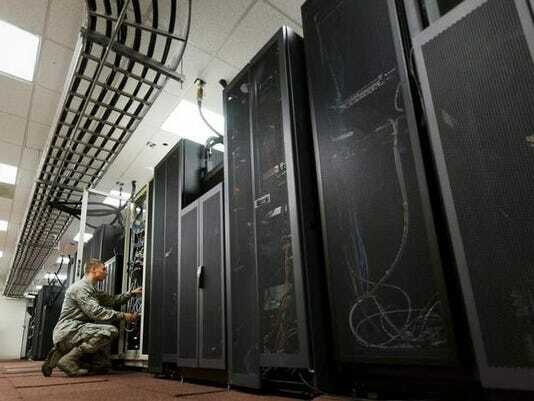 The Defense Department's cold feelings toward moving any of its classified data to a commercial cloud provider might be warming up as the department evaluates options for commercial cloud companies to handle and store secret information. As DoD moves more of its data to the cloud, most of that data is unclassified, less-sensitive data categorized at lower "impact levels," which is how DoD rates its data sensitivity. Impact levels 1 through 5 involve increasingly sensitive and tightly controlled unclassified data, but impact level 6 is classified secret data that so far only is approved for storage on internal DoD systems, such as the Defense Information Systems Agency's milCloud. But that could change, according to Rob Vietmeyer, associate director for cloud computing and agile development in the enterprise services and integration directorate at the DoD CIO's office. Most of the locations are embedded in heavily residential areas in Syria, Iraq and Libya and are not being targeted by U.S. airstrikes because of Obama administration concerns about civilian casualties, according to sources who spoke to The Washington Times only on the condition of anonymity. The White House also has been pressing the intelligence community to continue studying the facilities for a deeper understanding of how the Islamic State and its media enterprises operate, the sources said.While the White House, CIA and Pentagon declined to comment on the clandestine mapping project, its existence was revealed amid mounting debate over whether the administration’s strategy is robust enough for countering the professionalized blitz of digital propaganda that the Islamic State group, also known as ISIS and ISIL, is using to recruit fighters and radicalize supporters around the world. OPSEC violations are only a few thumb taps away. And now, so is guidance about how to avoid them. In December, the Navy released an app designed as a one-stop shop for all things operational security. Topics range from cautions against using geotagging on your smartphone to age-old threats like an eavesdropping server. 1. Downloading it. "Naval OPSEC" is the Navy's fifth mobile application and can be downloaded on Apple iTunes and Google Play. You can quickly review and complete your requirement for OPSEC General Military Training on the app. Danny Vinik had an online article on Politico, (Dec. 9, 2015) about the U.S.’s growing arsenal of cyber weapons. He contends that America has the most powerful arsenal of cyber weapons on Earth. “Today, it remains one of the most sophisticated, and mysterious offensive [cyber weapon] operations ever launched. Stuxnet, the computer virus specifically engineered to attack Iran’s nuclear reactors. Discovered in 2010, and now widely believed to be a collaboration between the U.S., and Israel, its existence raised an urgent question: Just what is the U.S. government doing to attack its opponents in the cyber realm?,” he asks. The Syrian nuclear reactor, before and after the Israeli strike in 2007. At that time the Syrian air defence system, which had been supplied largely by Russia, was considered to be one of the toughest in the world outside the major military powers. It had scores of radars and many hundreds of heavy surface-to-air missiles, some of them capable of bringing down aircraft no matter how high or fast they might be flying. Syria also possessed fighter jets, including the advanced Mig-29. All this equipment was tied together by a sophisticated computer and communications network. The Defense Department’s recent emphasis on the importance of the electromagnetic spectrum could be coming to a head, as the department is considering recognizing the spectrum as a sixth domain of operations, in addition to land, air, sea, space and cyberspace, which officially was declared a domain in 2011. Several, if not all, operations currently rely on the electromagnetic spectrum, which is why the military is placing greater importance on electronic warfare. Countries such as China and Russia have been honing advanced capabilities, such as the ability to jam GPS and other signals, within this sphere. The United States, meanwhile, has largely neglected EW, spending the last 14 years focused on the mostly uncontested spectrum environments in the Middle East, as several military officials have recently noted. Pentagon May Declare Sixth Domain of War, Because Why the Hell Not? For millennia, warfare was conducted on the land or sea. About a century ago, we added a third domain, the air. Suddenly, we’ve gone domain happy, with the Air Force successfully lobbying to declare space and even “cyberspace” as separate domains. Now, there’s serious talk of declaring the electromagnetic spectrum its own domain, too. December 15, 2015: The U.S. FBI (Federal Bureau of Investigation) and Microsoft recently announced another successful operation against hackers that severely damaged the Dorknet botnet and the software that sustains it. The Dorknet organization infects over 100,000 PCs a month and uses them for large scale extortion and larceny via the Internet. Dorknet usually controls a million or more PCs at any one time. The hackers behind Dorknet also sell other hackers software (mainly NgrBot) to build their own botnets. What makes Dorknet so dangerous is that it uses worm malware. Worms automatically seek out vulnerable PCs, inflects them and then keeps going. Microsoft is the major threat to Dorknet. But Microsoft is not alone as it works with a growing network of computer security firms that share information on malware and jointly adjust their security software to block and track malware like Dorknet. The FBI, and similar organizations worldwide, assist in this by conducting criminal investigations based on evidence collected by Microsoft and its consortium of security firms. Microsoft took the lead in helping the FBI overcome a shortage of technical knowledge about PCs and the Internet. This was, and is, a common problem throughout government. But it is particularly serious when the organization responsible for dealing with Internet criminals is not trained or equipped to do so. What Makes The Best Battle Rifle: The M16 Or AK-47? THE FACTS: Among combat rifles, two weapons stand out: the M16 with its modern variant, the M4 carbine; and the AK-47. The M16 and M4 model of rifles are the standard-issue combat weapons in the American military. This generation of rifle has seen action from the jungles of Vietnam to the deserts of Iraq and the valleys of Afghanistan. It’s known for being deadly accurate, though perhaps prone to jamming. On the other end lies the AK-47, a rifle of Russian design that has changed little over the better part of a century, and has spread to every corner of the world. It is known for remarkable durability and ease of use. But what makes the better battle rifle, the M16 or the AK-47? Criticisms of the M16’s reliability are overblown, but more importantly, it is the most accurate and the most lethal battle rifle ever fielded by the U.S. military. In battle, lethality and accuracy trump everything else. The AK-47’s durability and ease of use makes it the quintessential battle rifle for the modern world. This rifle has been around for decades, has millions of easy to acquire parts, and doesn’t seem to be going anywhere. WASHINGTON: The Defense Department’s Third Offset Strategy is designed to create new advantages over adversaries now that Russia and China are developing stealth fighters, cyber weapons, and precision missile arsenals of their own. With studies well underway and up to $15 billion budgeted for experimentation in 2017, the emerging answer is a cluster of technologies related to artificial intelligence. But that advantage is not likely to last long, Deputy Defense Secretary Bob Work warns. Since the revolution in artificial intelligence and robotics is being driven by the commercial sector, and software crosses borders easily (legitimately or not), it’s entirely possible for the Russians and Chinese to exploit the same technologies we do, Work said. In fact, their more flexible ethics may allow them to exploit technologies we don’t. It wasn't that he was a bad guy, he was actually fairly likable. He was sort of a wallflower, the kind of unremarkable person most of us pass by without noticing. He had a mind for the mundane little details, the kind of officer who thrives on the duties of the staff. He survived the drawdown of the early 90s by learning to do well at the jobs few of us wanted, away from the deep talent pools where the career risks were highest. He was an average officer in every respect. A careerist who rowed well when the ship captain was looking, who let others do the heavy rowing when he wasn’t. Then the Army selected him to command. He thrived on the idea of being in command, but not the responsibilities that came with being the commander. Command required him to make decisions, decisions that carried risk. And risk was not part of the equation for him. Risk incurred threats to his career, his promotability, his self-image. But as a commander, the Army did what the Army tends to do: it surrounded him with leaders who could make the hard decisions for him, who would bear the burden of command decisions he was unwilling and unable to make. He wasn't much of a leader. But was he toxic? I’m not kidding. See page 4 of this document, fresh from Leavenworth. “Departments will monitor the attendance of their faculty” at professional development meetings. For this they got PhDs? This strikes me as a knuckle-headed way to treat a faculty that is supposed to be world-class. Congressional hearings on the provisions of the thirty year old Goldwater Nichols Act of 1986 have the potential to substantially improve defense decision-making and move the nation toward a 21st century defense organization. They have also allowed old, discredited concepts to surface in a time where not all recognize their potential for harm. One of these is the idea of an American “General Staff” that would supposedly be an improvement over the current Joint Chiefs of Staff system. Historically, the General Staff has been a product of continental, authoritarian regimes focused on operational and tactical land warfare, and not one of democratic nations with global interests. A U.S. version of this organization has been proposed in similar forms since 1941, and has not improved with age. In the post World War 2 period, the idea of an American General Staff has been used as a means of ensuring or usurping military control within the U.S. military and U.S. civilian government organization. Centralization of military decision-making has never yielded good results and even the relatively modest Goldwater Nichols reforms have led to several significant poor outcomes since 1986. A plurality of inputs in defense decision-making, as practiced by the Allied powers during the Second World War, and in the early and middle Cold War, is well proven as a system to ensure maximum review and vetting of strategic defense decisions. As the nation looks to get more out of its shrinking defense establishment, the implementation of a General Staff represents a retrograde movement toward increased despotism in defense organization.